Squid.ink Flat Icon Pack offers 2000 handcrafted, consistent and pixel-perfect icons ready to use. The icons have been specially built to match the current design trends and to help you expand on your projects. This beautiful icons are perfect to create a unique design experience. 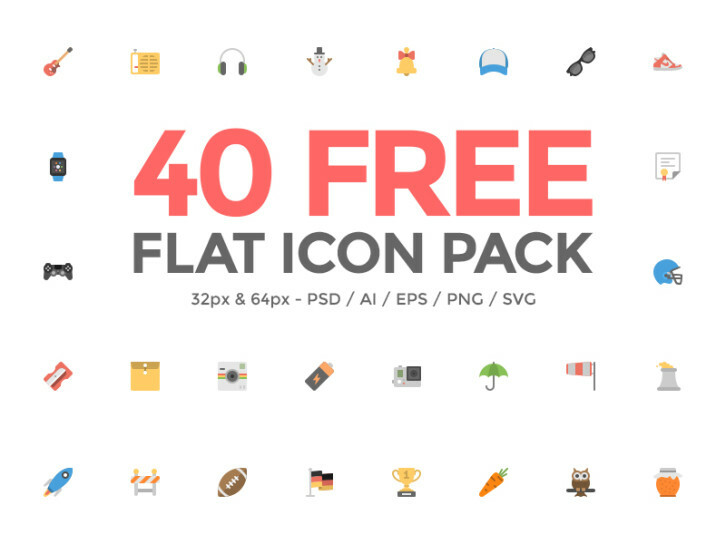 They are happy to share with you 40 of their best icons from Squid.ink Flat Icon Pack. It includes PSD files for 32px & 64px Icons, PNG files for 32px & 64px Icons, SVG files for 32px & 64px Icons, AI & EPS vector files. Big thanks to Squid.ink for providing us with this wonderful freebie! Be sure to check out their full pack of 2000 flat icons here. 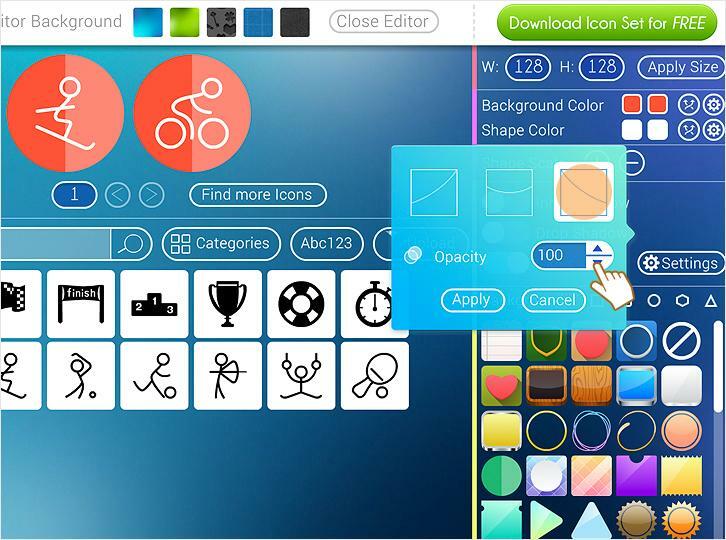 Droidicon provides over 1600 customizable icons, 25 ready-made social badges and more! Droidicon makes it super easy to add icons and badges to your app. All of the social badges are already styled. Just add them to your app! Or you can customize the icons however you want. You can also add strokes, transparency, and color filters to icons. They are licensed under MIT License. 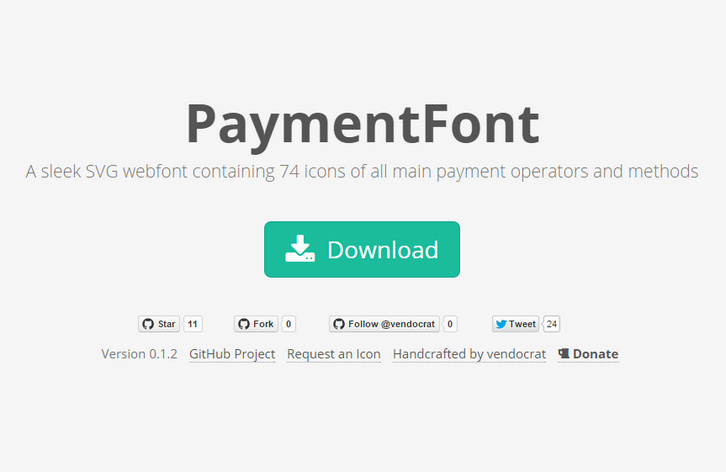 PaymentFont is a sleek SVG webfont containing 74 icons of all main payment operators and methods. Simply copy or upload the folders /css and /font, include paymentfont.min.css and enjoy your icons. PaymentFont was originally made for our WooCommerce Payment Methods Plugin for WordPress and WooCommerce. The font is licensed under the SIL OFL 1.1. Attribution is not required, but much appreciated. Themify Icons is a complete set of icons for use in web design and apps, consisting of 320+ pixel-perfect, hand-crafted icons that draw inspiration from Apple iOS 7 – available to the public, 100% FREE. 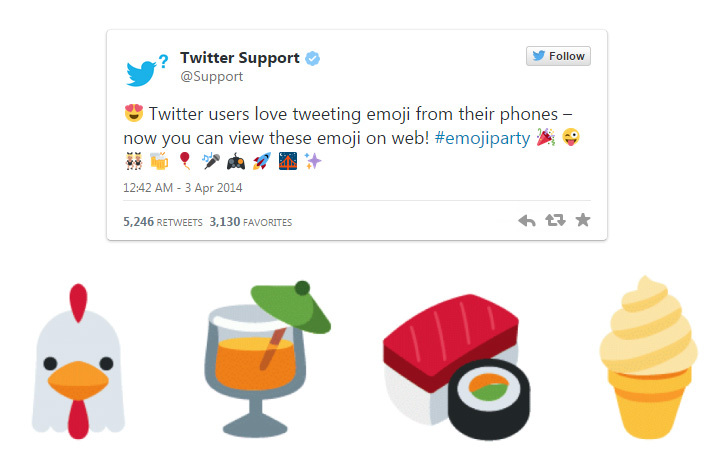 You may use or distribute it for any purpose, whether personal or commercial. This icon set is a must have tool for web designers and developers. Catalin Fertu is an Interface Designer. He has shared a nice set of 220 line icons in PSD format. You can use them as you wish. All the icons are royalty free for personal and commercial use. Payment webfont icons set is handy for designing eCommerce websites. It’s an SVG webfont full of icons of main payment systems. It includes Mastercard, Maestro, Visa, Visa Electron, American Express, Postepay, Cartasì, Diners Club, Discover, Union Pay, Electronic Cash, TrustE, Amazon, JCB Google Wallet, Stripe, Square, Ogone, VeriSign, Bitcoin (2 glyphs), Ripple, Sofortüberweisung, Gittip, Flattr, Skrill Moneybookers, Cartes Bancaires CB.